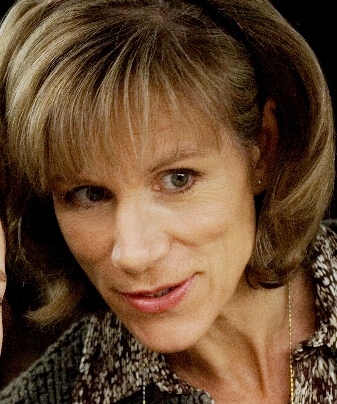 Award-winning British actress Juliet Stevenson has narrated a wide range of titles, but she is best known for her skill at breathing life into classics. Her sharp, intelligent narration illuminates characters, and her sensitivity to rhythm and nuance masterfully conveys the author’s themes and intent. ~Joyce Saricks, "Now Hear This: Juliet Stevenson"
AudioFile Magazine has a list of Golden Voice audiobook narrators, and we're frankly surprised not to find Juliet Stevenson listed among them. (AudioFile does have a nice profile of her, which includes a description of her meticulous preparation style before reading.) We first fell under her reading spell when we checked out the audiobook of Elizabeth Gilbert's The Signature of All Things - the reading was so good, we were inspired to tackle all 28 discs of Middlemarch! Our latest audiobook checkout narrated by Juliet is Sweet Tooth - still historical fiction, but more contemporary. Her delightful vocal delivery gives us the same pleasure as seeing her onscreen, whether in the TV mini-series Place of Execution or films like Bend It Like Beckham, Emma, and Infamous. Here's a list of audiobooks narrated by Juliet Stevenson. Do you have a favorite audiobook reader? Let us know in the comments!